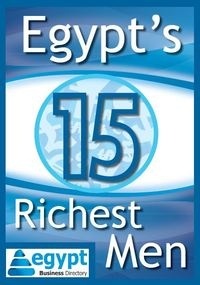 Egypt Business Directory prepared a compilation of the background, success stories and wealth of Egypt’s 15 richest men. Although Egypt’s businessmen earn a late ranking in the long list of the World’s Richest People, they still set an example for successful business thinking and strategy. Download Egypt Business Directory's free report.